This semi-detached cottage has been renovated throughout to expose original stonework and beams in every room. The cosy lounge/diner includes a bar whilst the bathroom features a spa shower. This semi-detached cottage has been renovated throughout to expose original stonework and beams in every room. The cosy lounge/diner includes a bar whilst the bathroom features a spa shower. To the front is a pretty garden whilst the smaller back garden is fully enclosed with views onto open fields. The village has most services but the larger town of Luçon is within 6km. Vendée beaches are 25 km and with the Roman town of La Rochelle and the tourist resort of Les Sables both within 30km, 18km away are the beaches at La Faute sur Mer, public pool and tennis can be found at 5km.Shop and café/bar 1km, restaurant 3km, beach 18km. 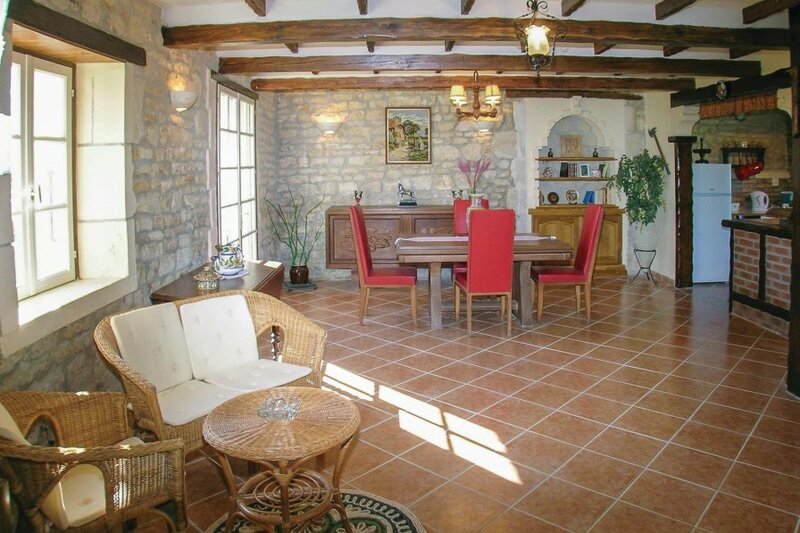 This villa is made from brick or stone and was originally built in 1913 and refurbished in 2007. The agent has rated it as a three star property so it is a well-kept villa, equipped with standard furniture. It is also good value for money. The villaIt is located in Les Magnils-Reigniers, only 6km from Luçon. It is set in a good location: there is a restaurant 4km away. You can also park on-site at no extra charge. The villa is adequately equipped: it has a microwave. It also has a barbecue, a garden and some garden furniture outside.